From time to time, I’ll re-build an app or service I think is cool just to give me a bit more practice in the language I’m learning. 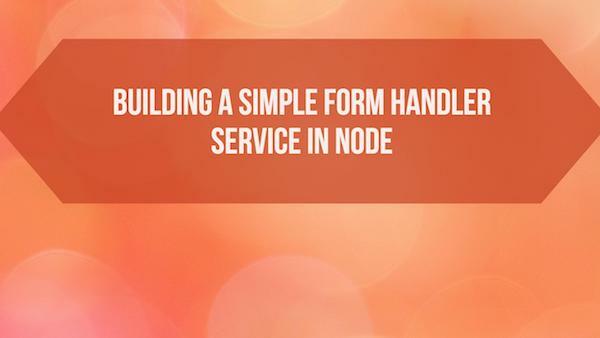 Today, I decided to build a simple version of the form handling service from Formspree. Just to be clear, what I’m sharing is not meant to be as good as Formspree. I’m a huge fan of their service (my contact form uses it!) and I strongly recommend it. 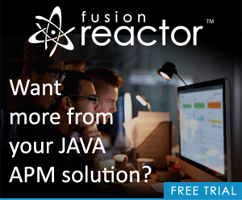 What follows is just a simple Node app having some of the same features. The app I’m building is a general “forms processor” meant to be used by a static site. The idea is to take a form, point it to the service, and it will handle taking the form input and emailing to to you. That’s it. These types of services are great for static sites that don’t have a way to process form input. I began my little application by installing Express and defining a static directory pointing to my public folder. Here’s that snippet of code. I then added a page in public called index.html. It basicaly just says “hello world”, but in a real world version of this service I’d have text explaining how to use the service. See Formspree for an example. begin by getting the email. Alrighty then. So I knew how to get form data (load in body-parser and just look at req.body), but now I needed to handle emailing. I decided to use the simple Nodemailer package. I’ve used it in the past and for the most part, it just plain works. To make things even easier though I decided to not try to setup a real email account for this. 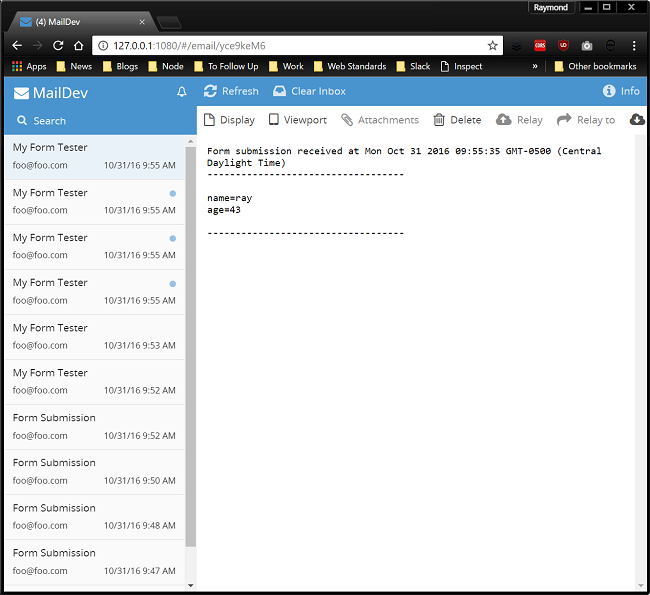 Instead I used the simple Maildev program that I’ve recommended in the past. It lets you set up a simple SMTP server locally and even runs a nice little web server so you can see the emails being sent. _from - Used to set the from part of the email. _subject - Used to set a specific subject (defaults to “Form Submission”). _next - The URL to load after a form submission (defaults to a “thank you” page on my server). Here’s the entirety of the route. 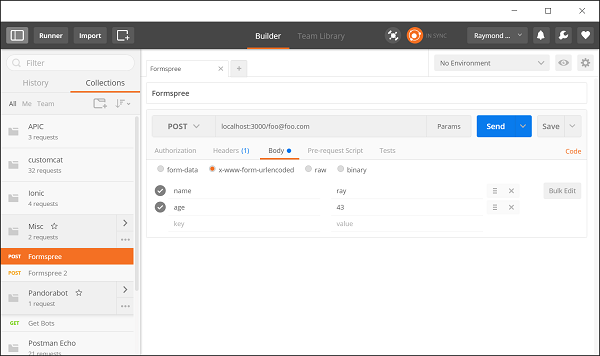 To test this, I used the excellent Postman app and just created a few tests.